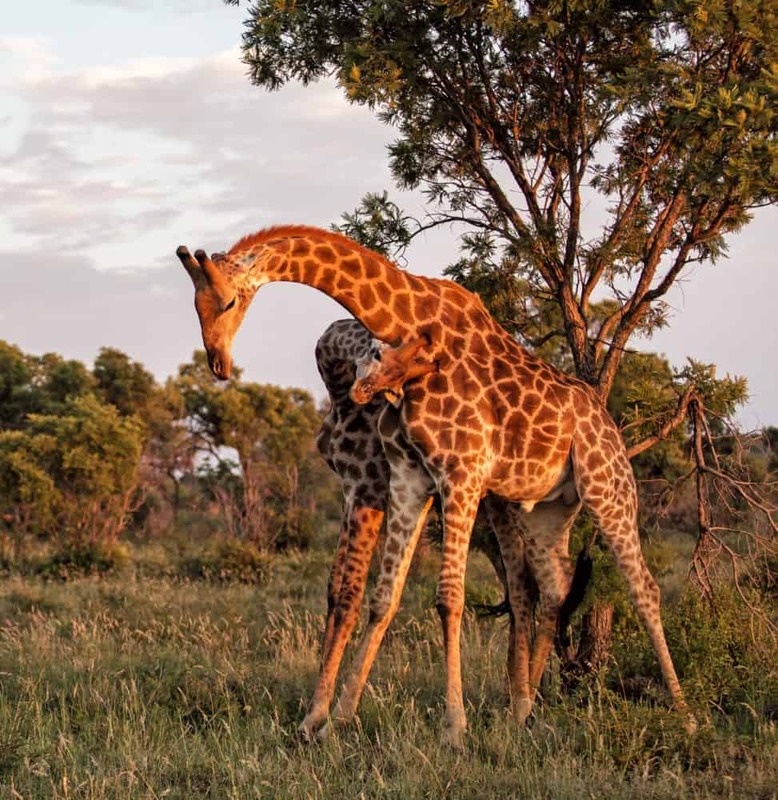 The 75 000 hectare Madikwe Game Reserve is one of the largest private game reserves in South Africa, and one of the few reserves in Southern Africa classified as malaria-free. 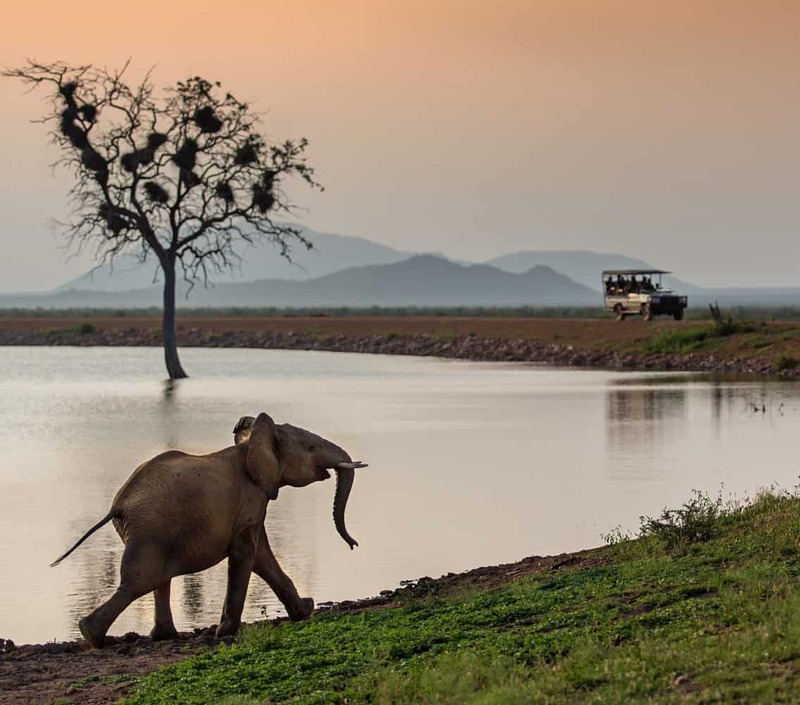 Located in South Africa along the Botswana border, 20 kilometres from Gabarone, the reserve lies within a transition region between lowveld bushveld and the Kalahari thornveld. 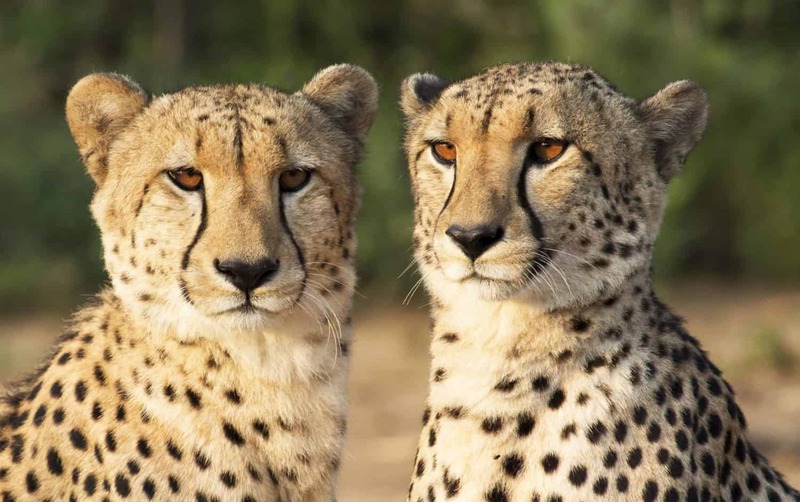 As a result, the region is home to a tremendous diversity of fauna and flora – 86 mammals, 420 bird species and 105 tree species – including the black and white rhino, buffalo, elephant, lion, leopard, cheetah and wild dog. Geographically the region has enormous volcanic intrusions known as Inselbergs, wide open plains and the riverine environment along the Marico River in the east of the reserve. The entire Madikwe Game Reserve has been enclosed in a 150km perimeter fence which has been electrified to prevent the escape of elephants and the larger predators. There are several entrances to the Reserve, namely the gates of Abjaterskop, Wonderboom, Tau, Derdepoort and Molatedi. 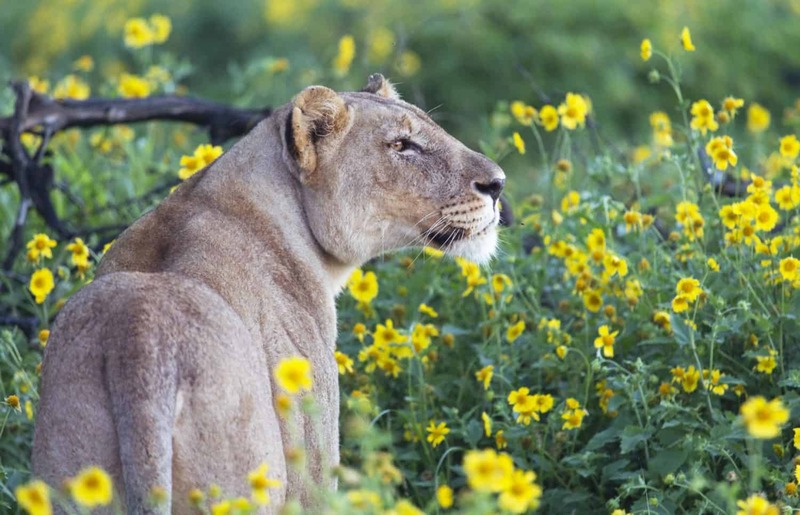 The Madikwe Game Reserve is managed by the North West Parks and Tourism Board (NWPTB), which was formerly the Bophuthatswana National Parks, a conservation organisation that is well known for its pioneering approach to people-based wildlife conservation which it has practised since the late 1970s. The name Madikwe translates to ‘a place of blood’, ‘the crocodile’, and ‘wealth’ in the indigenous languages of the area and as such is synonymous with wilderness. The Madikwe Game Reserve has a rich heritage, being first home to the ancient San people, and then the migrating Nguni tribes moving slowly more to the South. Later, missionaries and cattle farmers tried to make a living in this rugged terrain. The reserve itself was born out of a sense of social responsibility – as a tactic to save the area from poverty. The communities in the area have not only been involved in contributing to the project, but have also benefited greatly from the jobs that the reserve and its lodges have created. The Madikwe Game Reserve has a unique conservation success story behind it, just over 17 years ago it was arid, cattle grazing land. The 75 000 hectare reserve was painstakingly restored from arid, cattle grazing land to its rich natural environment. It also undertook the largest ever game translocation in the world, which occurred when 8 000 animals of 28 species were moved to the reserve in “Operation Phoenix” which was concluded in 1997. These included the ‘Big 5’ and other endangered species. Hence, the world renowned Madikwe Game Reserve was created through the collective effort of government, communities and investors. 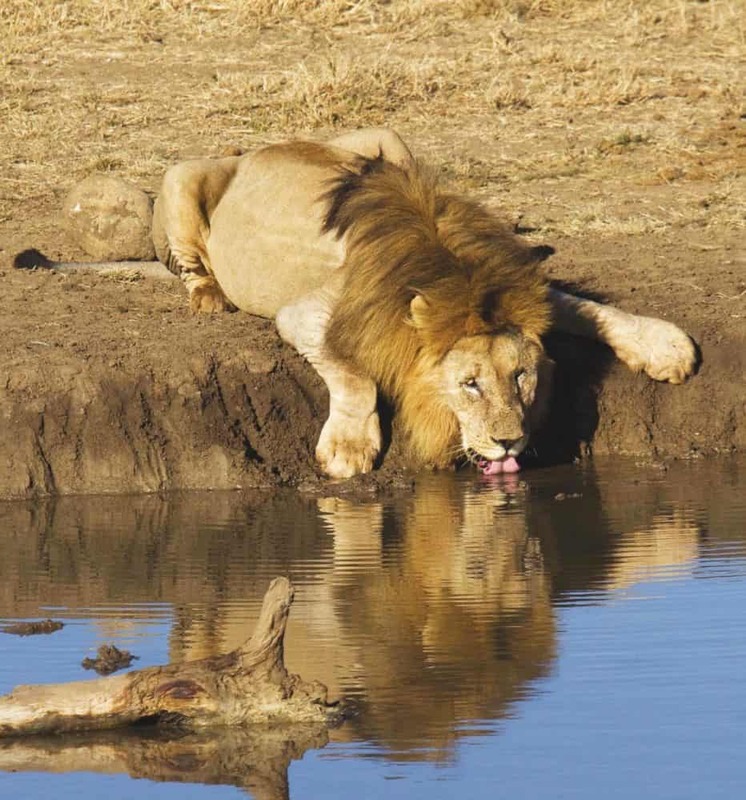 Book your trip to Madikwe Game Reserve today. Wild Dogs, also known as Painted Wolves, were once called Cape Hunting Dogs. The Wild Dog is the largest of the wild canids in Africa and is now one of Africa’s most endangered carnivores. It is estimated that less than 5,000 Wild Dogs still survive in the wild and viable populations are only found in larger reserves and uninhabited areas in Southern and Eastern Africa. Wild Dogs are extremely gregarious animals and are usually found in packs of between five and fifteen members. Each pack has a clearly defined social hierarchy and is led by a dominant (or alpha) male and female. Working together in these highly organised units, the Wild Dog is an effective predator, capable of bringing down prey as large as Buffalo. They are also able to defend themselves against their natural enemies, Lions and Spotted Hyenas. The bonds between all the members of the pack are very strong, all the dogs cooperate in caring for and feeding any pups as well as any sick or injured members of the pack. In most packs only the dominant (alpha) male and female successfully reproduce. 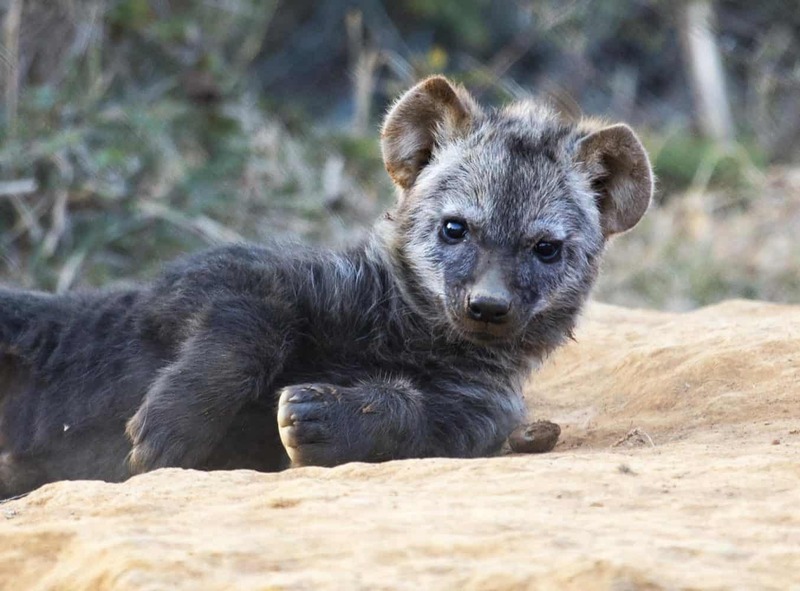 Although persecution by man, susceptibility to diseases such as rabies, and diminishing natural areas have all taken their toll on Africa’s Wild Dog population, there is now a concerted effort to conserve and protect these fascinating animals. In December 1994, as part of the huge game translocation operation called Operation Phoenix, wild dogs were relocated into the Madikwe Game Reserve. Three female dogs, captive bred at a breeding station for rare and endangered species, were put into an enclosure in the reserve with three male dogs captured just outside the Kruger National Park. The six animals formed a new pack and were then released into the reserve. The project was resoundingly successful and today the Madikwe Game Reserve has a viable and thriving population of Wild Dogs.